Exterior,Luxurious Interior,Exceptional safety,Powerful Engine,55 litre fuel capacity,9 colours. The Upcoming Toyota Corolla 2014 New model is the most revolutionary model which the world has not ever seen,everything redesigned as compared to previous model.Toyota Corolla 2014 is the 11th generation auto-mobiles in the world comes with more dynamical and stylish.Toyota Furia concept revealed a compact car for 2014.New model is more spacious then its predecessors.Wheelbase is approximately 3.93 inches longer. 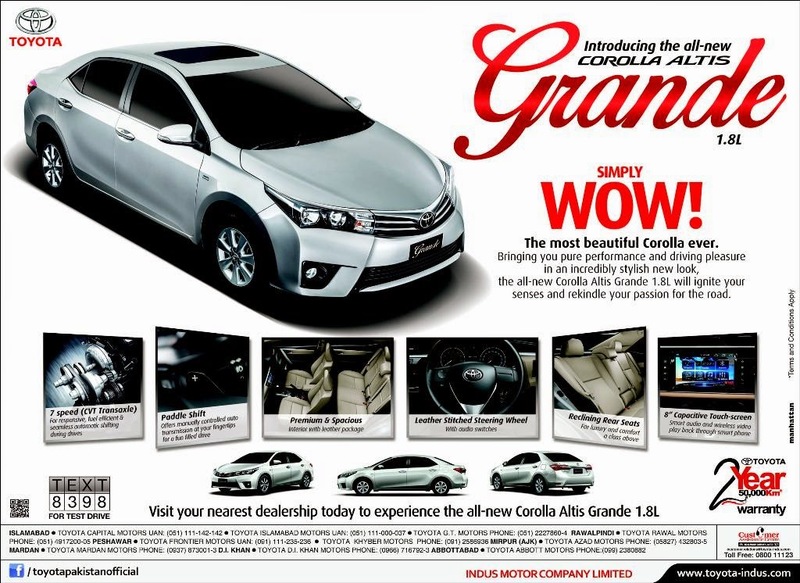 Toyota now launched new Model of Corolla Altis GRANDE in Pakistan. 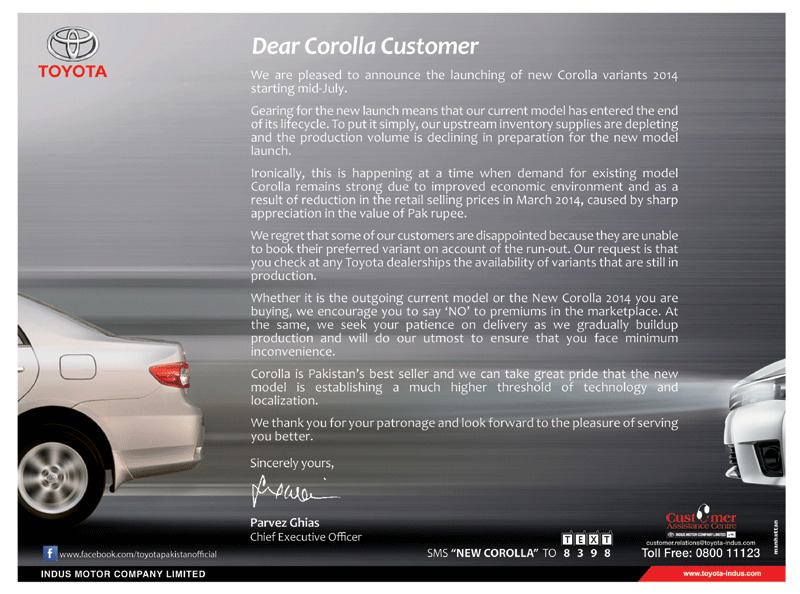 New model of Corolla GLI will be launched later.